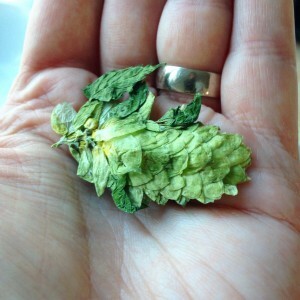 A dried out Jester hop cone showing lots of lovely yellow lupulin powder. I recently heard about a new British hop variety, Jester, becoming available to homebrewers for the first time. This variety has been developed to take on the punchy New World varieties that are currently dominating the craft beer industry. The hop is described as having a ‘wild tropical fruit aroma with flavour notes of grapefruit, lychees and blackcurrant’, which sounds fantastic, so I had to get hold of some. Jester hops are available to homebrewers from Stocks Farm. Piecing together ingredients, I ended up with a slightly confused IPA recipe that’s not too sure which side of the Atlantic it sits, it’s probably a bit too dark, but I think it should be tasty. I stretched a 100g bag of Jester hops as best I could to maximise their flavour/aroma contribution and dug out some German Perle hops from the freezer to back up the bitterness. So we’re looking at a dark IPA with American yeast and British/Germanic hops. 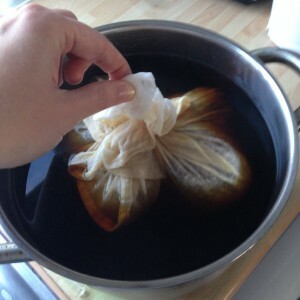 The resulting beer should come out at just over 6% ABV and at about 48 IBUs. More importantly, it should be ready for Christmas. So as you may have gathered I’m extract brewing, though am hoping to make the move to all-grain once I get my arse in gear and order some stainless steel. I’m currently making do with two pans holding about 6 litres between them which is a bit of a stretch, it’s also limiting me to paler beers but I’ve been pleased with the results so far. Weighing out some Crystal malt. 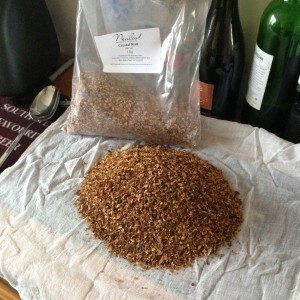 Steeping Crystal malt grains to extract some sweetness and colour for the beer. Crystal malt also gives the beer body. 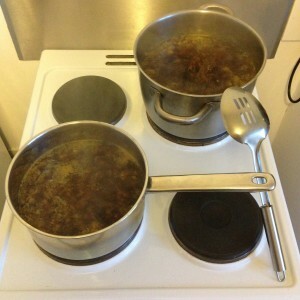 Boiling the wort extracted from the Crystal malt along with the Jester hops. 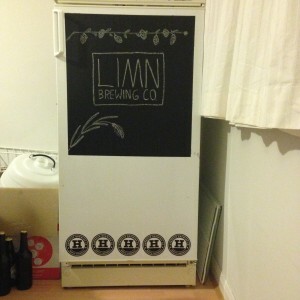 The “man fridge of dreams”, where the beer will ferment. My Jester IPA in the fridge all ready to begin fermenting. So after a fun brew day, my fermenter went into my new beer fridge and is now happily bubbling away. I shall be dry hopping it in the coming days and can’t wait to give it a taste. I’ll post again when the beer’s ready. Cheers! **UPDATE** If you want to find out how the beer tasted, then read my follow up Jester IPA tasting post. 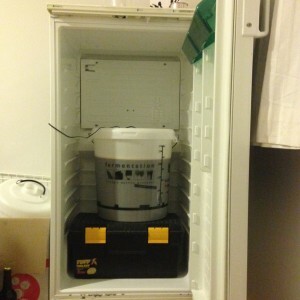 This entry was posted in Homebrewing by Andy Limn. Bookmark the permalink. I purchased some Jester hops from Stocks Farm as well. This IPA looks great – cheers! Hi Jon, cheers for reading and commenting. I’ll be posting a follow up in the next few days. Very interesting hops, friends are getting mango and tropical flavours, i’m getting some creamy peach flavours too. Let me know how your brew turns out!